Talent from across the commercial networks will join forces to host this year’s SHINE & DINE - the red carpet gala dinner to take place on May 13, with all proceeds going to Make-A-Wish Australia. 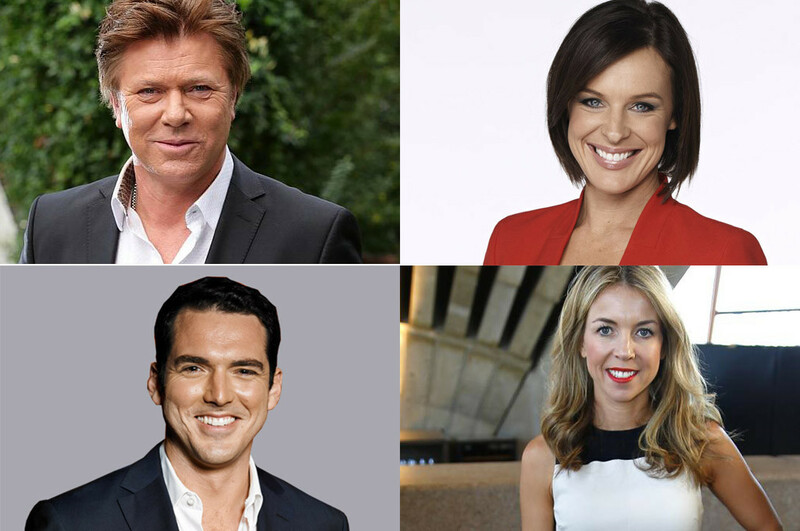 Nine entertainment guru RICHARD WILKINS and newsman and presenter PETER STEFANOVIC will be joined by Network Ten newsreader and Studio Ten host NATARSHA BELLING as well as Seven newsreader and reporter ADENE CASSIDY. These four bring a wealth of experience and kudos to this year’s event. Most importantly they have banded together to help make this year’s SHINE & DINE fundraising event the most successful to date. Taking place at the Doltone House Jones Bay Wharf in Pyrmont on the evening of Friday 13th May, this year’s SHINE & DINE promises to be the best ever- in more ways than one. This year too, platinum sponsors House of K’Dor and Merc Real Estate have been joined by Nine Cares – the philanthropic arm of the Nine Entertainment Company (NEC). This further cements SHINE & DINE as one of the biggest Sydney fundraising gala events of the year. Started in 2013 by Melhem, the SHINE & DINE gala is one of Make-A-Wish Australia’s biggest annual fundraisers; raising much needed funds and awareness for Make-A-Wish Australia who grant wishes to children with life threatening diseases. “Every day, six families around Australia receive the news that their child has a life-threatening medical condition. That’s 2,000 families each year in need of a vital wish; four times the number of families we’re currently able to reach,” says Make-A-Wish CEO, Gerard Menses. “We believe in the healing power of a wish. We take each child on a carefully designed, unique journey where they anticipate and experience their most cherished wish coming true. This journey gives these really sick kids and teens hope for the future, strength to face the challenges of their illness, and joy from their incredible wish experience.